How many calories per one banana? While it is largely dependent on the size of the banana, there is an average number of calories per one banana. How Many Calories Per One Banana? 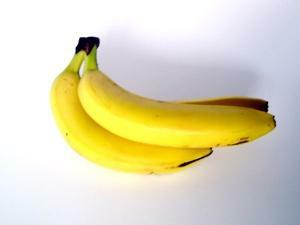 A banana that is seven to eight inches long has 105 calories. Bananas are a relatively high sugar fruit, which makes them more calorically dense than other types of fruit. If you feel there are too many calories in a whole banana, cut it in half. For those calories, you will receive a significant nutritional payoff. It also has trace amounts of iron, zinc, thiamin, riboflavin, vitamin B5 and niacin. Along with that, bananas are low in fat and cholesterol, making them a nutritious snack. Because bananas pack such a nutritious punch, they are a great food to incorporate into your diet. Besides just eating a banana, you can also mash it and use it as a sweetener in place of sugar in a number of baking recipes. Bananas also make a terrific thickener for smoothies. To make a low-calorie, nutritious smoothie, place a half of a banana, your favorite berries, some fat-free yogurt, crushed ice and some skim milk in a blender and blend until smooth. Bananas can also make a great low calorie frozen treat. Freeze a banana and roll it in a small amount of chocolate or dip it in some fat free chocolate syrup. A few tablespoons of fat-free chocolate syrup won't add a large number of calories to the banana, and it can help to satisfy cravings for both frozen desserts, creamy foods and chocolate. Bananas are well worth their calorie count. With extremely low fat and low calories as well as high nutritional value, bananas are a great healthy snack for dieters.